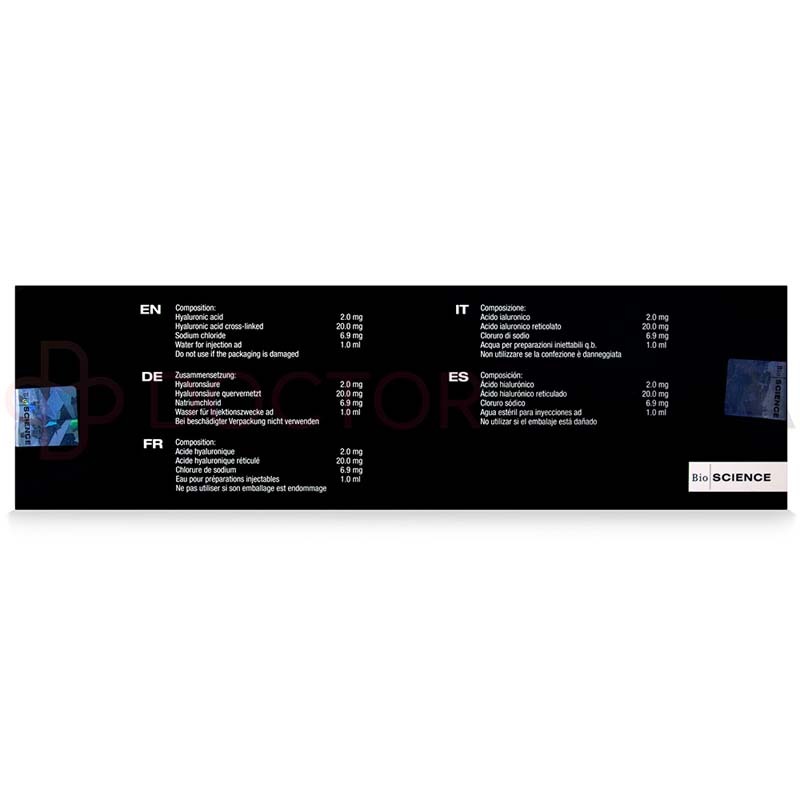 For low whole prices on Hyacorp MLF 1 and other aesthetic supplies, buy from Doctor Medica today. Ordering is easy: Purchase online from www.doctormedica.co, contact a friendly customer care specialist by email at info@doctormedica.co, or by phone at 1-866-343-2413. 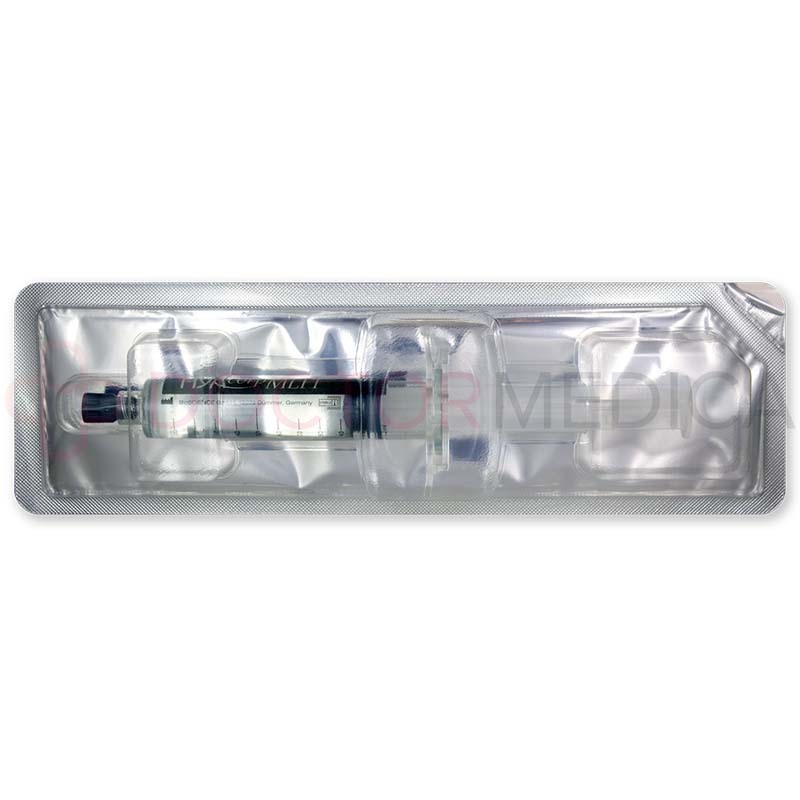 Hyacorp MLF 1 is supplied in a 10ml prefilled syringe, a product insert, and traceability labels. 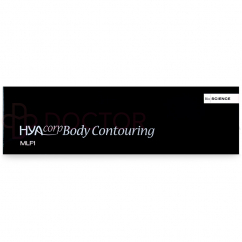 Help your patients experience the ultimate body shaping treatment with Hyacorp MLF 1. This dermal filler adds volume to lift and support areas in a minimally invasive procedure, unlike other treatment options such as fat transfer or flap surgery which are more drastic interventions. 1ml of Hyacorp MLF 1 contains 2mg of hyaluronic acid sodium salt, 20mg of cross-linked hylan, 6.9mg of sodium chloride, and 1ml of water for injection. Hyacorp MLF 1 is produced through an innovative manufacturing process. The result is a modified hyaluronic acid gel that is stable and more durable in human tissue. This filler is implanted into the skin of the area to be treated, where it then corrects volume loss or skin depressions by supplementing the intracellular matrix and intradermal tissue. Hyacorp MLF 1 is injected into the subcutaneous or supraperiosteal layer and should only be administered by a qualified, legally authorized medical practitioner. Before proceeding with the treatment, inform the patient about indications, warnings, as well as potential side effects and the results to be expected. In addition, the area to be treated must be aseptically prepared before treatment. Prior to injection, mark the areas to be treated. A local or topical anesthetic may be applied to reduce pain from the injection. Employ the injection technique appropriate to the area and condition being treated. The depth of injection and amount to administer must be evaluated on a case-by-case basis. Do not overcorrect. After injection, massage the treated area to ensure uniform distribution of the gel. Correction can be completed in 1 to 2 injection sessions. Subsequently, maintenance sessions are needed to preserve the benefits provided by this treatment. 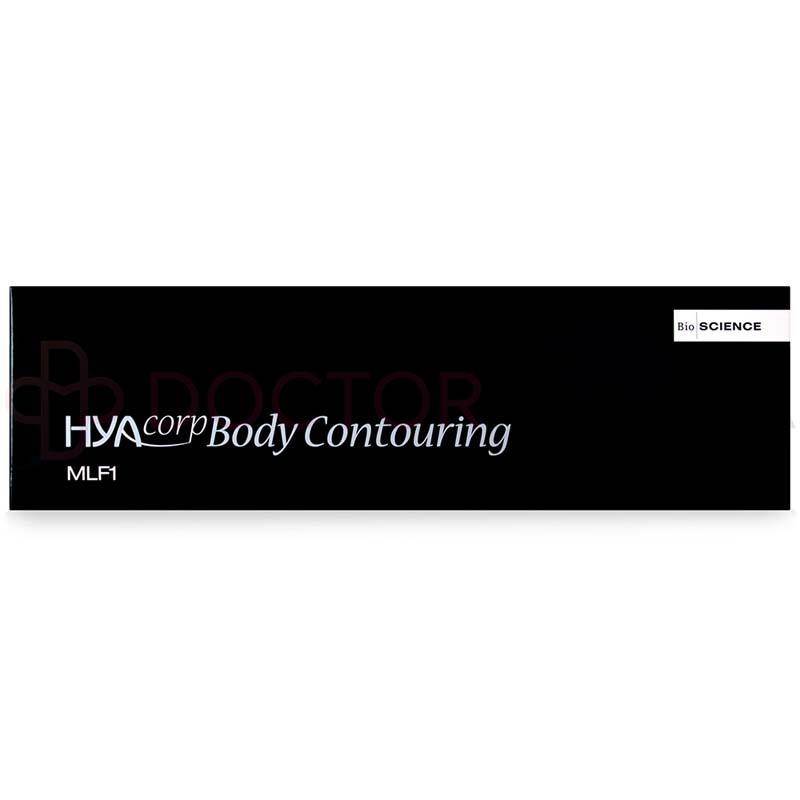 Hyacorp MLF 1 is used to restore lost volume and to contour body surfaces. Hyacorp MLF 1 is suitable to be used on areas of the body such as the buttocks, calves, and sites of skin depressions or concave deformities that may have occurred due to liposuction. This body sculpting treatment is not to be used in the facial area, or for the purposes of breast or genital augmentation. The duration of the filling effect provided by Hyacorp MLF 1 varies according to the injection depth and treatment area. Results typically last up to a year or longer. Recent clinical evaluations indicate that an increasing number of patients are interested in obtaining soft tissue filling treatments as a way to enhance their aesthetics in a minimally invasive manner. Body sculpting treatments like Hyacorp MLF 1 are the latest in aesthetic improvement procedures that can help enhance regions like the buttocks and thighs in a natural-looking way. Patients who are seeking a minimally invasive procedure to aesthetically enhance certain regions of their body, such as the calves or buttocks, can consider treatment with Hyacorp MLF 1. 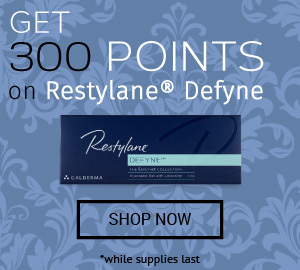 This product should not be used in patients who have a tendency for hypertrophic and keloid scarring; are intolerant towards gram-positive bacteria; are prone to active inflammatory or infectious processes; are suffering from acute or chronic skin diseases; are undergoing anti-coagulant therapy; have a known allergy to hyaluronic acid; or are suffering from autoimmune diseases. The safety and efficacy of hyaluronic acid in pregnant or lactating women or in adolescents under 18 years of age has not been studied. Treatment with Hyacorp MLF 1 may result in injection-related reactions such as itching, redness, tenderness, and swelling at the site of injection may occur. Other treatment-related reactions include bleeding, bruising, or firmness. These reactions are typically mild and will resolve spontaneously in 1–2 weeks. There is a rare risk of delayed side effects occurring after the injection. These can include bacterial infections, biofilm formation, the formation of chronic inflammatory nodules, reactivation of herpes infections, migration of the filler material, skin necrosis, and granuloma formation. Patients should seek the consult of a medical practitioner if symptoms persist or worsen over time. These may not be all of the side effects of Hyacorp MLF 1. Refer to the product insert for a full list of contraindications, precautions, and adverse events related to this dermal filler.